Just off Broughton Street on Barony Street is an absolute hidden gem and my new favourite lunch spot. When you first walk into Broughton Deli, you might be deceived into thinking it is just a little takeaway where you can grab a quick sandwich on your lunch break, but in the back there is plenty of space to sit in for a delicious meal. My mum and I first visited on my birthday for brunch. I had the veggy breakfast which consisted of scrambled egg, veggie haggis, grilled mushrooms, potato scones, spinach, baked beans and toast. I was so impressed with this breakfast, everything tasted so fresh and handmade (in fact the haggis, tattie scones and beans are all the deli's own I believe). The veggie haggis was unlike any haggis I've had before, it wasn't even trying to taste like real haggis, it was its own thing and it was delicious! 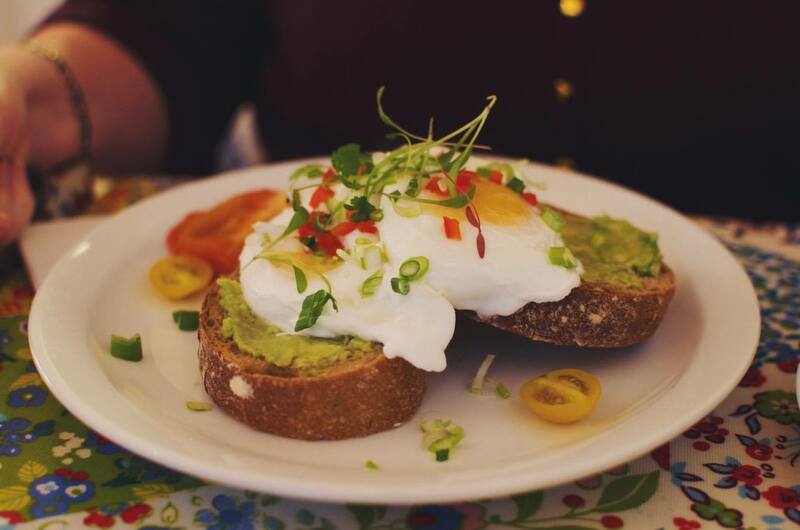 My mum chose the mashed avocado on germagrain toast with chilli, coriander, spring onions and topped with poached eggs – a meal you can never go wrong with. My mum was really impressed with the bread as she can sometimes find heavy carbs too much on her stomach, she felt the germagrain toast was really light. In fact the biggest compliment I can give to Broughton Deli is that it is Mama Butchart approved – trust me that is one of the highest compliments a food establishment can receive. My mum is not necessarily a fussy eater but she is really hard to impress. She hates stodgy, greasy food, she likes her meals light and healthy but still flavoursome. After our first visit, the deli was all my mum could talk about – so of course a few weeks later we brought my dad. On our second visit I ordered a savoury crepe. I had spotted these on the menu the first time round, but as we were there before noon the first visit I opted for breakfast instead, but I was so excited to come back to try one. 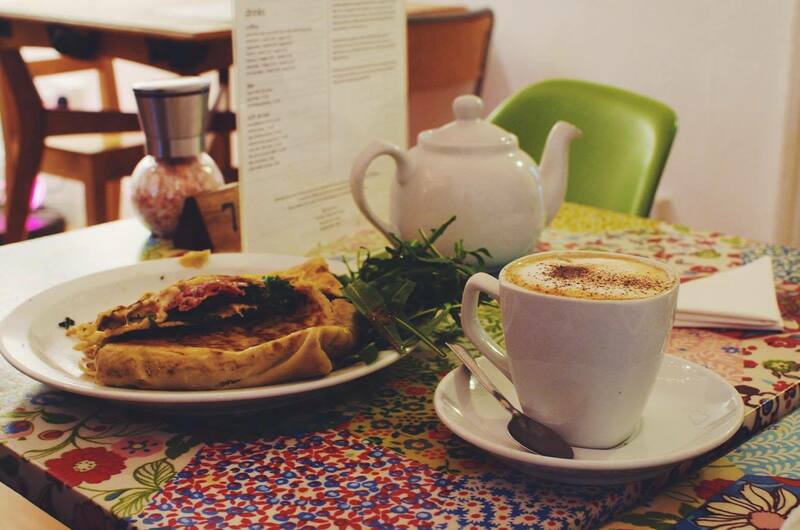 I've been looking for a proper sit down cafe that serves good savoury crêpes for ages (they of course sell sweet crêpes as well available with an array of delicious toppings). Growing up in France, I am a crêpe girl through and through but this also means I'm picky and have high standards. I'm so excited to say that these standards were met and possibly even exceeded. Both my dad and I ordered savoury crêpes, his was raclette and salami I believe and mine was garlic mushrooms, spinach and raclette. I'm sure you can tell from the above picture that is was SO GOOD. I can't get over how good it was. My dad agreed that I, as always, ordered the best meal and he kept trying to nab a bit off me. I honestly can't wait to go back here – and I'm finding it awfully hard to edit my pictures as they're making me so hungry.